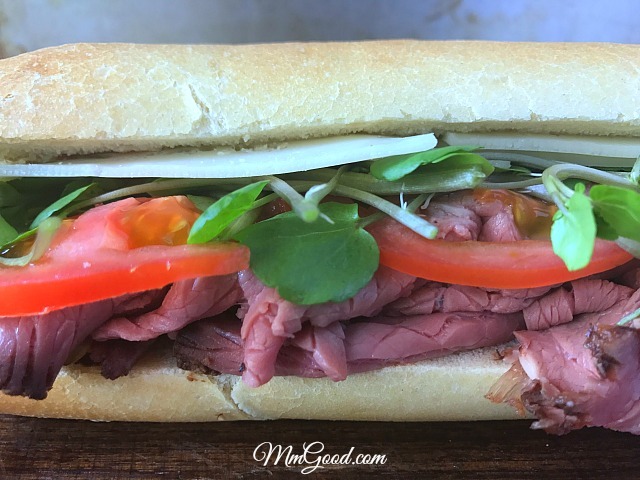 Yum…a simple roast beef sandwich…or is it? 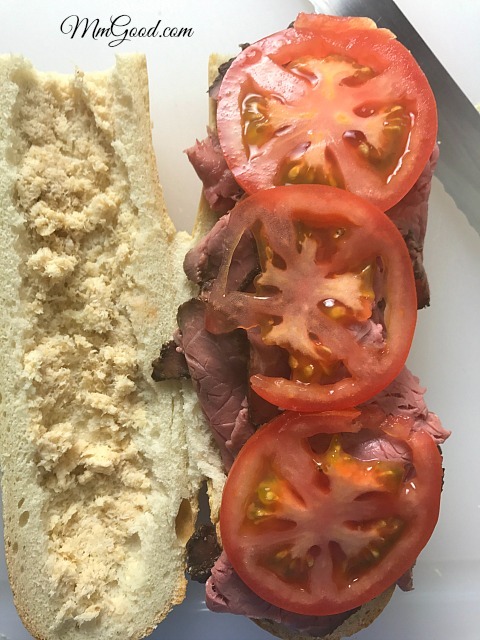 I was teaching an appetizer cooking class recently and as a bonus, I brought in homemade roast beef sandwiches. 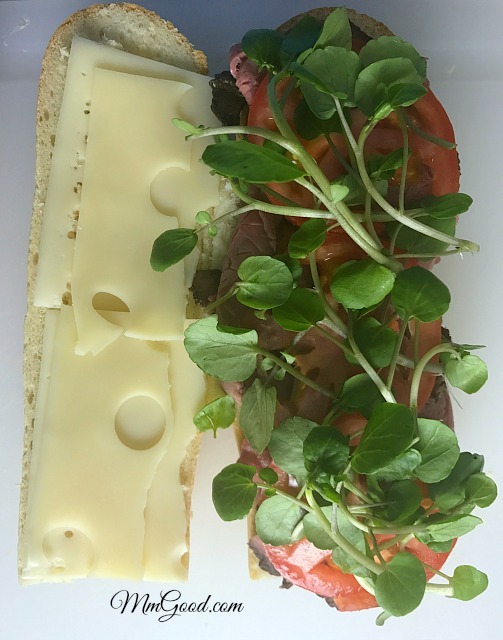 The whole class loved the salad and asked me to make a post on how I created the sandwich, so here is what I did. 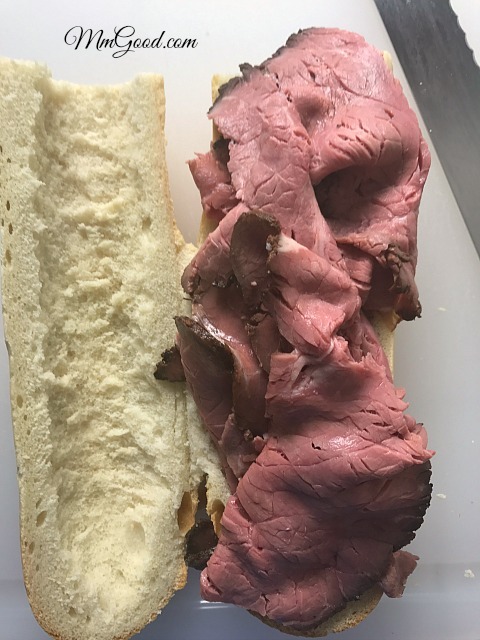 First I like to hollow out my bread as I like to balance out the bread to meat ratio, to do this, slice your bread in half, remove the dough from the bread, creating wells. 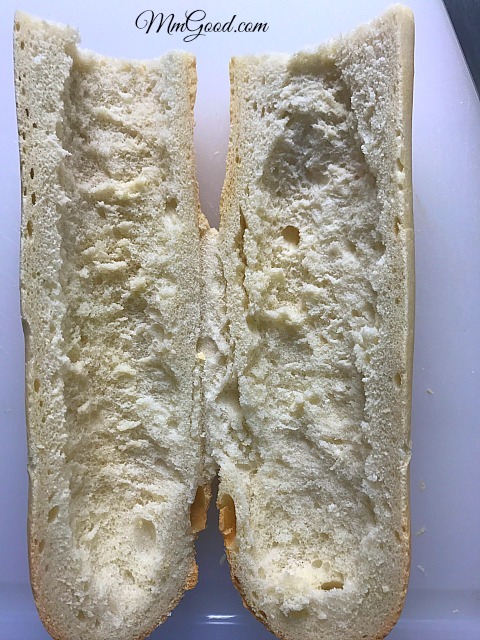 Cut bread in half, remove some of the bread filling. 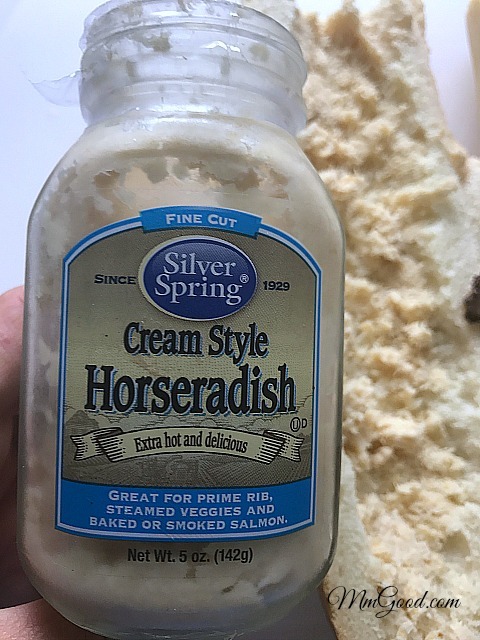 Place roast beef on one side of the bread, horseradish on the other side. 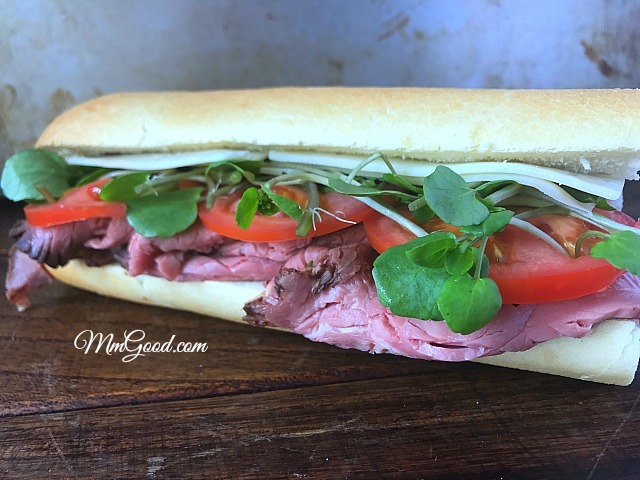 On top of the roast beef add sliced tomatoes and watercress. 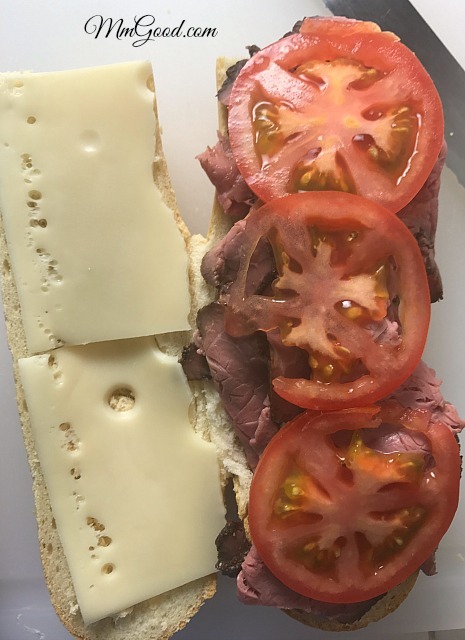 On the other side add cheese. Combine both sides and serve...Enjoy! Previous Post: « Coconut Almond Pound Cake!